It’s early January and the notion of being in 2012 still hasn’t really registered. I just got my moment earlier tonight when I was cleaning and found a promo mixtape sent by Locked On, my favorite UK Garage label back in the day. And then I started remembering how much receiving that mixtape along with the promo advance copy of “Original Pirate Material” seemed like yesterday. Could that landmark record really have come out 10 years ago!? Damn time flies. Well, I thought I’d do a little write up so that we don’t forget how huge this record truly was, but mostly how influential it still is. This record is arguably one of the best of the 2000’s. 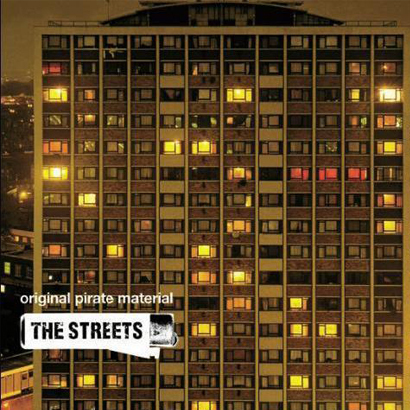 Mike Skinner aka The Streets released his self-produced record in March 2002 on Locked On / 679 Records in a point in time that UK Urban music was just finishing the period of 2 Step and UKG going very pop and actually becoming mainstream UK hits (Craig David, Artful Dodger, MJ Cole). The album was totally different than the rest of the Garage landscape although even though it was on a Garage label you couldn’t just call it that. It just sounded like absolutely nothing else at the time. The anthem of the record although it was the second single. On the 12″ it came with an amazing Zed Bias remix which me and my UKG homie Senyo used to kill back in the day. This was the first track I ever heard from The Streets. I remember having the 12″ a few weeks before the record came out. After a couple seconds I was hooked. Mike Skinner was really underrated as a producer and has a knack for epic piano melodies. You can tell than as a kid he was big into the UK club culture. This has always been a fun one to throw on in DJ sets. It has that “jump up and act stupid” quality to it. One more example why this wasn’t just a Garage record. Not amongst my favorite tracks of the record but still great a great subject for a song. The perceptions of British society regarding Weed VS Alcohol.